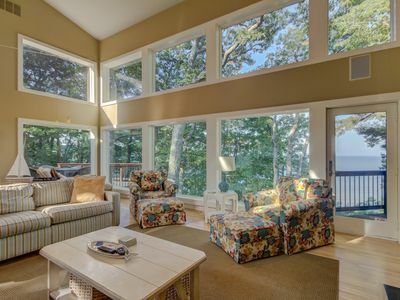 This 150+ ft. view is all yours at Maple Beach House! 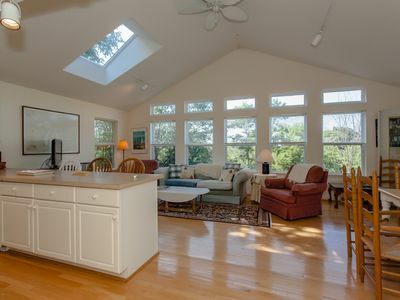 This Home-Away-From-Home is the place for your large gathering to spread out and relax. 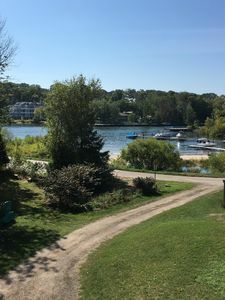 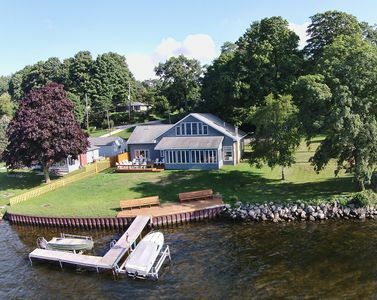 Located on a secluded area of tranquil White Lake and only 5 minutes from the charming towns of Montague and sister-city, Whitehall, across the bridge. 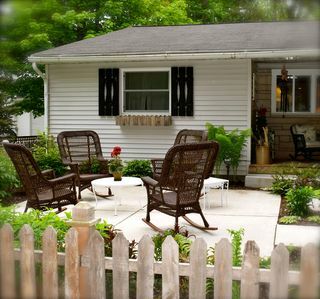 There are too many attractions nearby to mention – truly something for everyone! 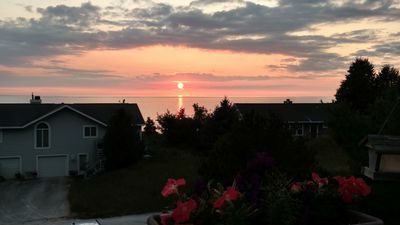 ~~~see our attached photos of just a sampling. 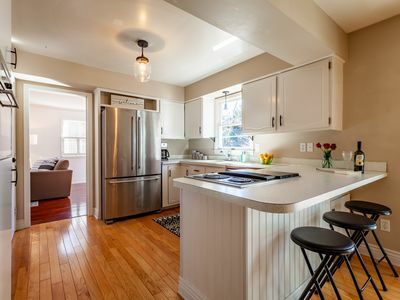 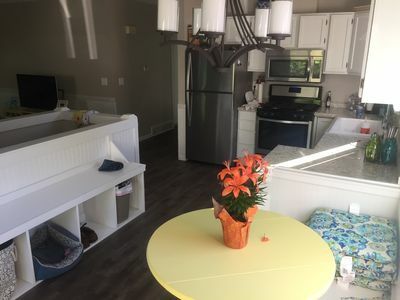 -	3 Full Baths and the 2 upstairs bedrooms have their own sink and vanity area! 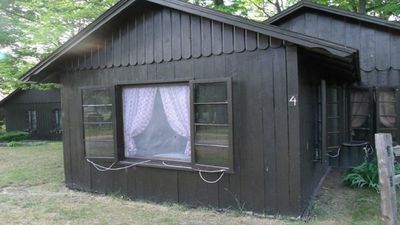 -	5 very spacious bedrooms and Den (with a sliding privacy door). 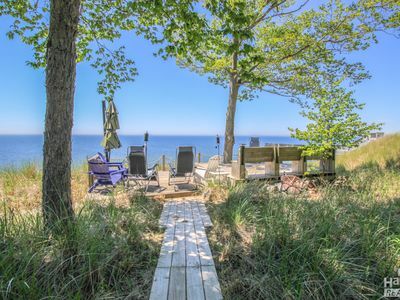 Sleeps 16 in beds! 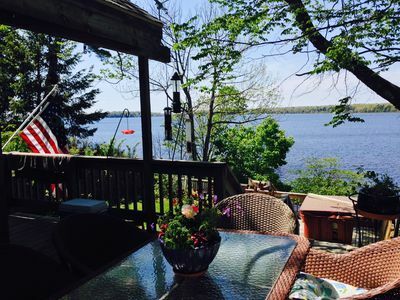 Private Setting with Views of White Lake/Channel, Easy walk to Lake Michigan! 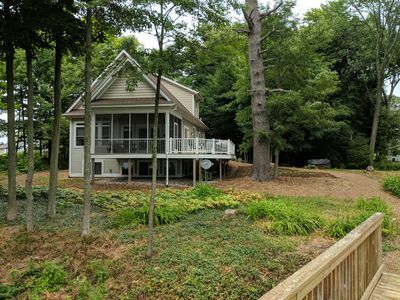 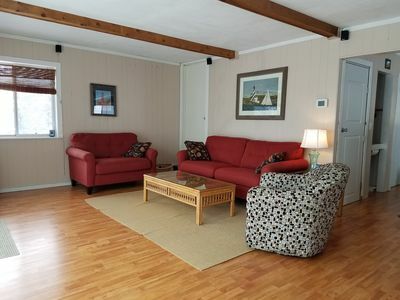 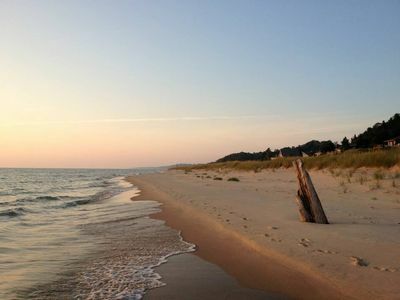 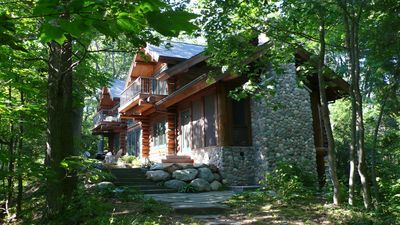 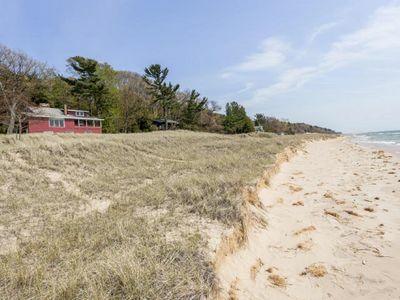 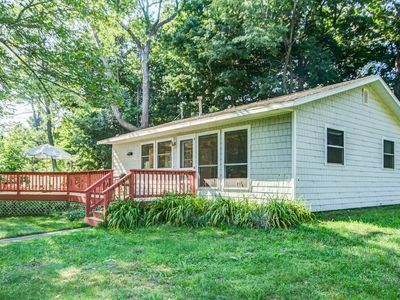 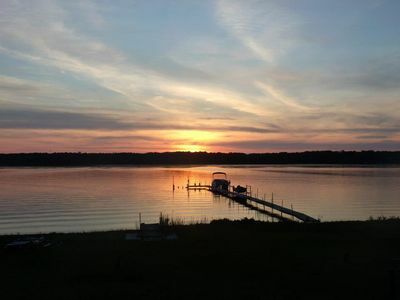 Lake Michigan cottage close to beach, dunes, golf, Mich Adventure and much more! 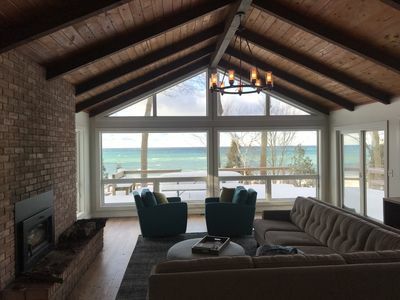 Updated cottage on Lake Michigan! 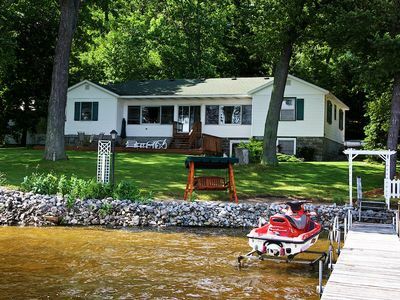 Serenity on the Lake is a great cottage with 120 ft beach and grand vistas.